A full evaluation of any plant's boiler system includes a thorough review of the equipment type, necessary maintenance, and fuel usage. The key factor here is definitely fuel usage or otherwise known as boiler efficiency. Boiler efficiency represents the difference between the energy input and the energy output. A typical boiler will consume several times the initial expense in fuel usage on an annual basis. A difference of only a few percentage points in boiler efficiency can translate into substantial savings. The efficiency of any boiler directly relates to the performance of its corresponding soot blower system. This system is vital to keeping ash and soot from building up inside the boiler and on the boiler tubes which ultimately lowers thermal efficiency. These deposits from the combustion of fuels can create challenges during the operation of incinerators, petrochemical plants, power and recovery boilers, and other heat exchangers. Deposits will reduce efficiency and can lead to expensive downtime. 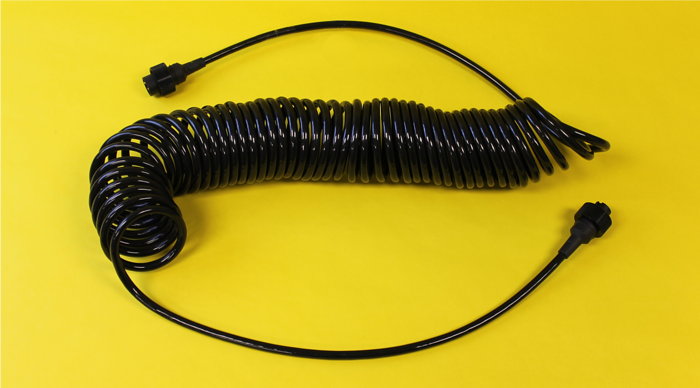 Keep one (or more) compatible, extremely durable and quick replacement sootblower cable(s) for your soot blower application on-hand. and cleaning schedule to keep boilers running smoothly. Use lightweight sootblower cables with abrasion, moisture, and heat-resistant protective properties that guard against the environment. With fluctuating fuel costs, maintaining boiler efficiency is very important in any plant's cost management program. Industrial plants can use a variety of fuel sources such as gas, oil, biomass, black liquor, chicken litter, municipal waste, and coal. This combustion process produces significant amounts of soot, ash, gases and by-products, so keeping the boiler's internal heating surfaces clean becomes critical to efficiency. Soot blowers are an efficient and effective means of safely and regularly cleaning the boiler, boiler tubes, and overall internal heating system.